Today was a day of joy and ecological celebration in Mykonos. The students of primary schools (Ano Mera, Chora, Petinaros) received their diploma together with a great surprise. 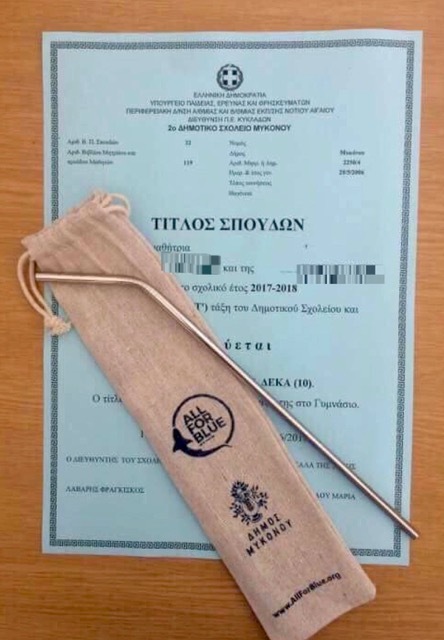 The president of the Primary Schools Committee, Frangiskos Lavaris on his own initiative and with the support of the Municipality of Mykonos gave the reusable straws to 1000 students with the diploma. 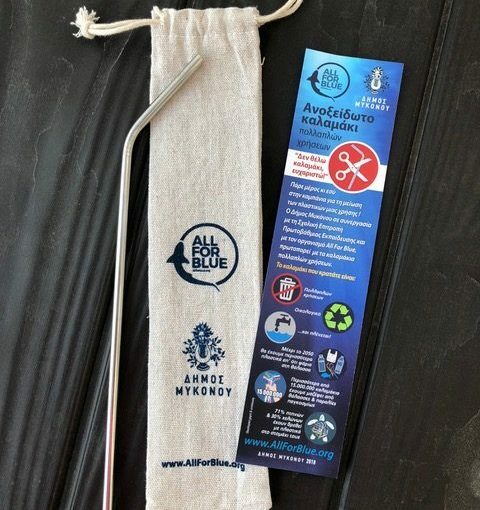 This is an exclusive launching of All For Blue, the first non-profit organization to bring the organic straws to Greece. 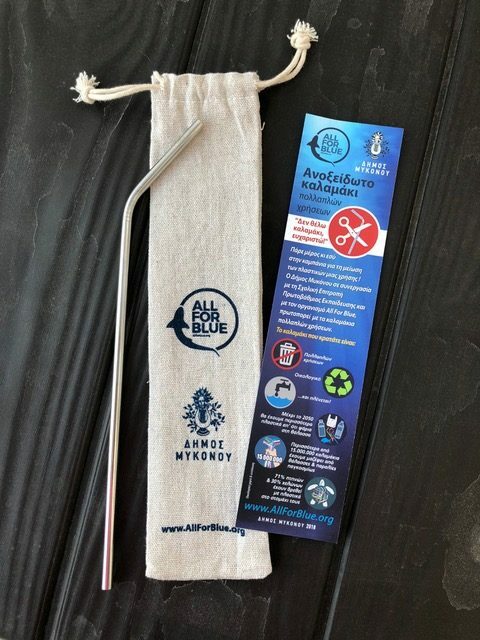 The island was overwhelmed by a 1000 children holding their new straws, willing to meet again with All For Blue on Sunday 17/06 at the bay for beach and underwater clean up.